I love Paneer (Indian Cheese..or Cottage Cheese) it’s absolutely yummy, rich in calcium..hence very healthy! Besides, being a North Indian, I have grown on palak paneer (cottage cheese with spinach), paneer bhurji (cottage cheese scrambled with veggies and spices) to name a few delectable dishes! The reason why I keep going back to this recipe is because it’s easy to whisk up…uses all the ingredients which are always available at home…takes no herculean efforts..and is ready in no time! Perfect for when you’re running late and dinner is less than an hour away!! & works wonders with guests..they’ll love it and want your recipe! 😛 what more could one ask for?! Equipment: a large mouthed pan, a spatula, measuring cups / spoons, chopping board / food processor. Heat the pan, add the oil. Add the cumin seeds & the slit green chilly. Sauté for a min, let the cumin seeds crackle. Next add the sliced onions along with the ginger – garlic paste. Sauté for 2-3 mins, until the onions turn pink. Next, add the capsicum and all the dry spices except the garam masala. Mix everything well and cook for 5 mins on medium flame. Now add the tomatoes and season with salt and sugar. Stir well and cook until the oil separates..will take about 5-7 mins. Once the oil has separated, add the paneer cubes and mix well..make sure that the cubes stay intact. Add the cream & garam masala at this stage and stir everything together. Simmer for 5 mins more on low flame. Turn off the flame. Add lemon juice and mix it one last time. Garnish with chopped coriander & serve hot with Fulkas, naan bread, kulchas, etc. 😋 😋 enjoy! I can see it from the phone , but not on the laptop. May be there is a problem with my system here. 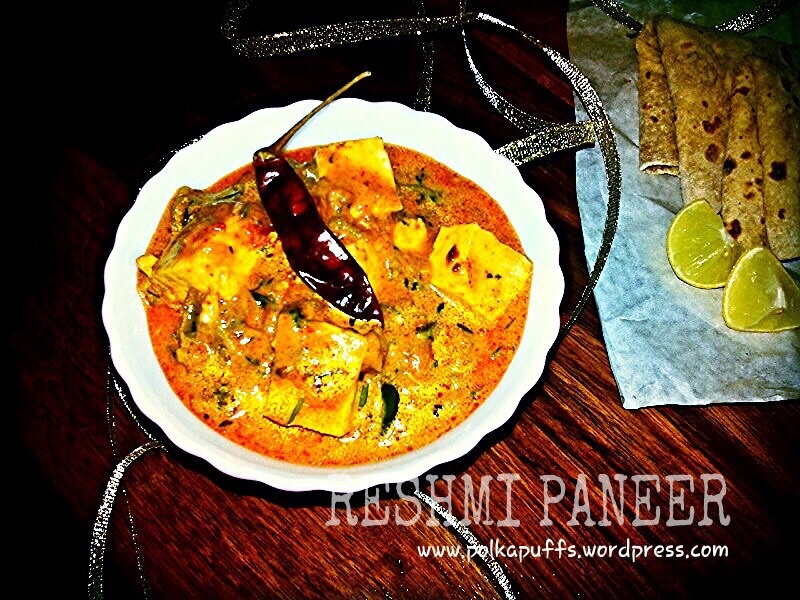 Pingback: Mattar Paneer / Indian Curried Fresh Green Peas with Cottage Cheese | Polka Puffs! Tried it, turned out to be yummy, only change I did to the recipe was to replace cream with whole milk…. Thank you so much dear for trying 😊 yes replacing cream is a healthy option! I am glad you liked it. 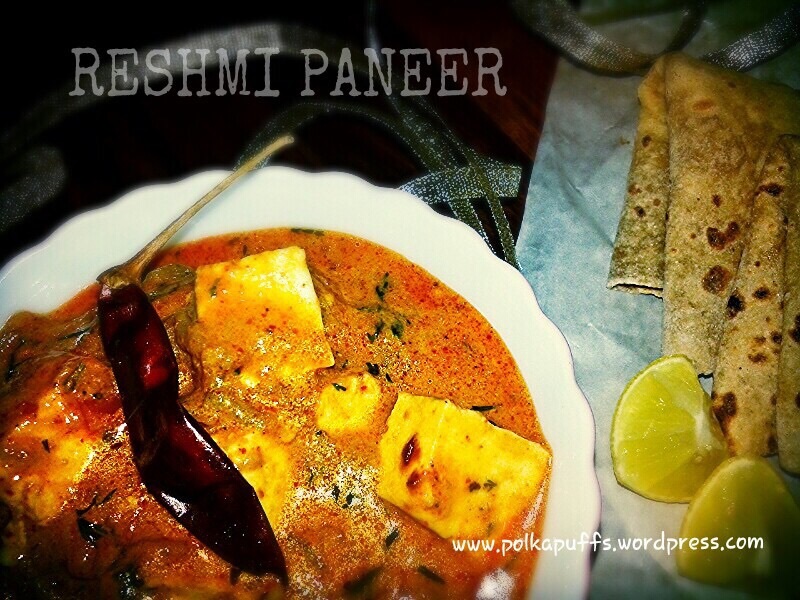 Pingback: Paneer Lababdar & Wholewheat Tava Naan | Polka Puffs! Thanks so much…I am glad you liked it abhipsa☺ did you try it yet…you must..it’s very nice. 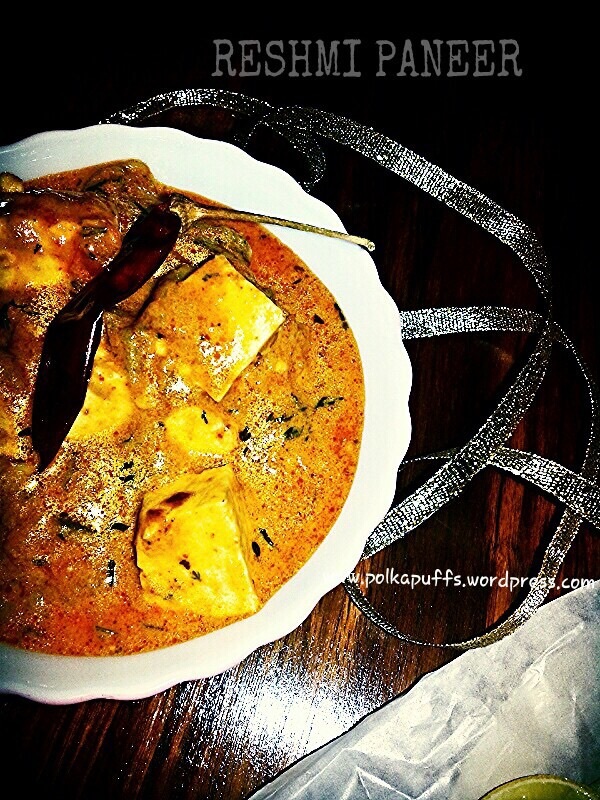 Pingback: Dum Paneer Kali Mirch – restaurant style | Polka Puffs!